Today we pause in humble submission to the will of our Father in heaven, who in his perfect timing, has called home to eternity one of his own, Nathaniel Cobb. His early journey began August 22, 1942 in La Grange, North Carolina to Jennie Cobb Stalling and Robert May. He was the eldest of three children. Nathaniel accepted Jesus Christ as his personal Savior at an early age in La Grange. He received his formal education from the La Grange Unified School District, and graduated from Frink High School in 1961. Soon after graduating, Nathaniel enlisted in the United States Navy, where he served two years in the Vietnam War. 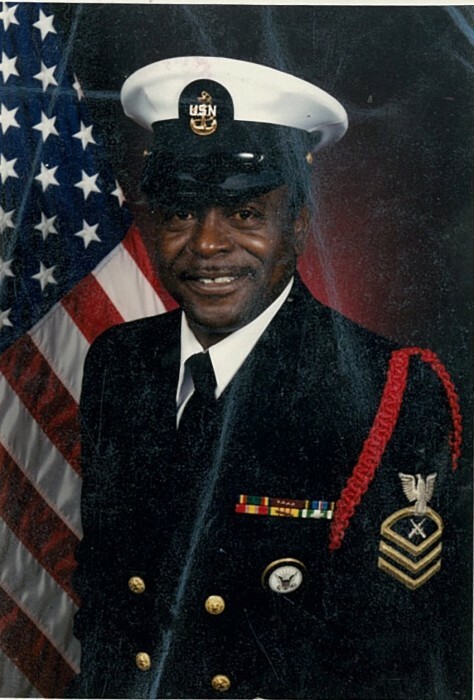 After 26 years of service to his country, Nathaniel retired as a Chief Petty Officer with an Honorable Discharge in 1987. After retiring from the United State Navy, he went on to work for the United State Postal Service as a mail carrier for 17-1/2 years. He retired once again in 2004. In 1986, Nathaniel met the love of his life, Jill Boyd. Shortly afterwards they were united in marriage. They were blessed with 33 wonderful years of marriage. In 2003, he rededicated his life to Christ and joined Greater Life Baptist Church under the spiritual leadership of Pastor Willie E. Manley. He also served under the leadership of Pastor Cedric Manley and Interim Pastor Michael Jackson. He loved going to Sunday School and was a faithful member until his health began to fail. His favorite Scripture: Proverb 3:5-6. Nathaniel Cobb was a beautiful person and was loved by everyone he came in contact with. He was a loving husband, father, grandfather, uncle and friend. Sunday, March 24, 2019 was a gloomy day for those who knew and loved Nathaniel Cobb. That was the day God opened His arms real wide to welcome his loving child home. Although Nathaniel’s physical body is gone, his spirit is still with us and will live in our hearts and minds forever. We are all God’s children. Some of us are loaned out for a little longer than others. Only God knows when He is ready for us. So, let us celebrate all the good times and the memories we shared during the time he was with us. He was preceded in death by his mother, Jennie Cobb Stalling; father, Robert May; sister, Jeanette and brother, Cleo. He leaves to cherish his wonderful memories: his wife Jill Cobb; five sons, Nathaniel Cobb, Jr. of San Diego, Samuel Cobb of Las Vegas, Andrew Cobb of Virginia, Everette Phillips and Earl Boyd; one daughter, Yevette Boyd Cole (Edward) all of San Diego; eight grandchildren, two great-grandchildren, and a host of nieces, nephews, cousins, other relatives and friends, including his Greater Life Church Family who will mourn his passing, yet celebrate his life.